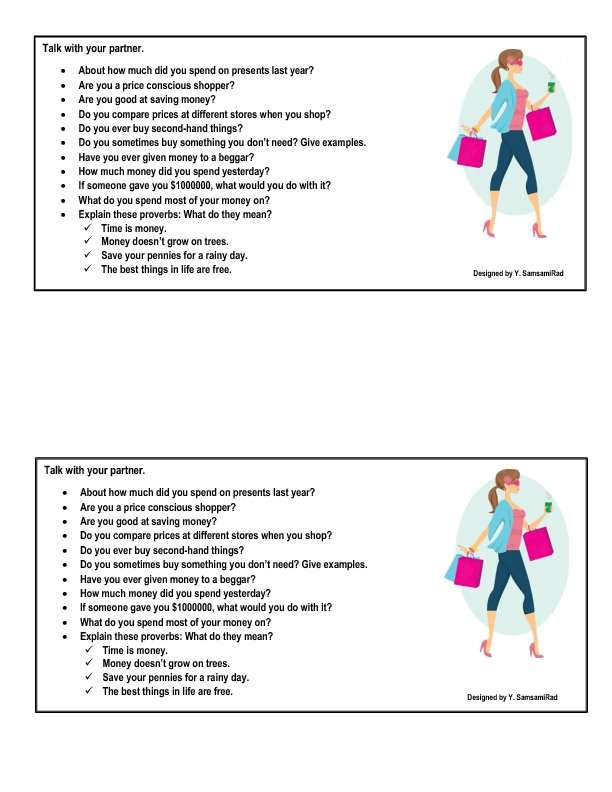 I have designed this PDF for practicing speaking with my pre-intermediate classes. 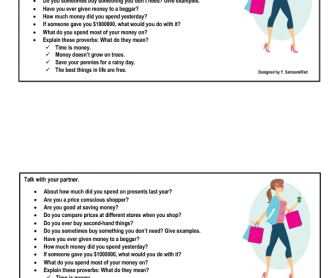 It includes different questions about shopping. Divide your class into pairs or small groups and have your students talk. Hope it helps!